Otago Daily Times reports on a fascinating art installation by Danish artist Olafur Eliasson at the Dunedin Public Art Gallery. 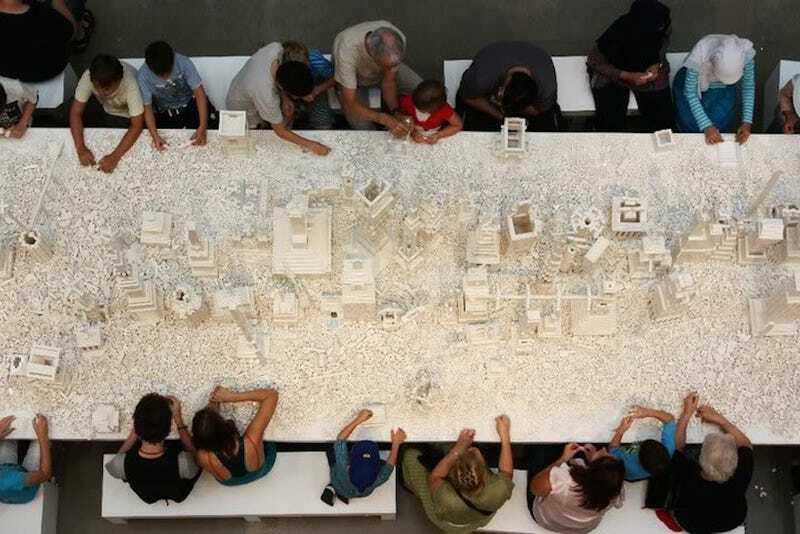 There are over 150,000 white Lego bricks that are piled on a table which the audience is encouraged to use "to construct an evolving miniature cityscape. The Cubic Structural Evolution Project is an installation by Danish artist Olafur Eliasson (47) which requires gallery visitors to complete the work using their own imaginations. ''The public response has been huge. We're absolutely thrilled,'' DPAG marketing manager Tim Pollock said yesterday. This past weekend the gallery played host to Lego architects Centuri Chan and Christoph Bartneck.